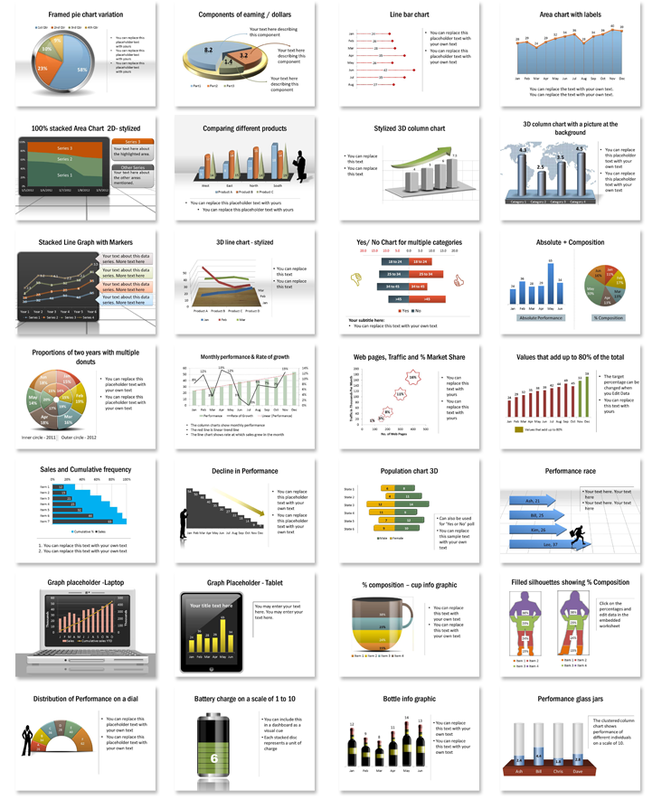 200 fully editable charts and graphs for PowerPoint. Save time and money with 200 dynamic pre-created, animated, color changeable charts and graphs for Microsoft PowerPoint. Don´t spend all your time painfully creating charts and graphs for your slides by hand. We´ve done it for you. The charts in PowerPoint InforGraphics Volumes are professionally designs and animated to help you present information in clear stages. Simply use the charts you need and edit the text and data to fit your needs. 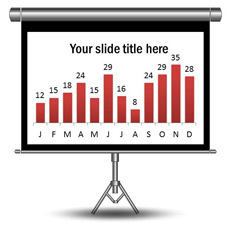 InfoGraphics charts work like standard PowerPoint charts! Simply double-click the chart and enter your own data and the chart values will automatically change for you.